In that time I’ve interviewed some of the most influential people in the vacation rental world. I learned about Airbnb in an early episode with host Glenn Cooley, and more recently interviewed superhost Evelyn Badia. Matt Landau of the Vacation Rental Marketing Blog has joined me on a dozen or more sessions of the ‘Mash-up with Matt’, and I’ve had the pleasure of speaking with many successful owners to talk about what they do that makes their vacation rental properties so special. 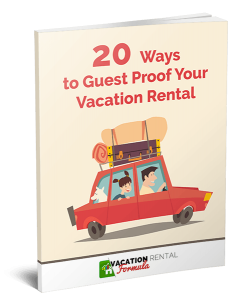 I’ve reported from Home Away Summits, VRMA conferences and stays at vacation rental places around the world, and along the way, shared experiences from my own property management company, CottageLINK Rental Management. And in that time, recorded 149 episodes. With so many to choose from, it was hard to pick out the ones to re-share as highlights of the past 3 and a half years of recordings. However I broke it out into a few themes and selected the most popular episodes as well as those that may be worth revisiting to listen again. 1. Every owner should stay at least once in someone else’s vacation home. I’ve repeated this many times and still stand by the view that you cannot ever really know what it’s like for your guests unless you’ve been to an unfamiliar property, got your first impression, explored on arrival and slept in the beds. VRS003 was the first episode where I talked about learning from other owners. Reviews a reservoir of suggestions, recommendations and ideas that can provide you with so much information on what you could do to improve the experience for your guests. 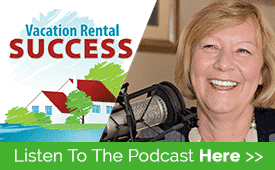 Episode 064 explored 6 ways to use your own and other owners reviews to make your vacation rental business even better. To listen to many ‘experts’ and vacation rental pundits, you would think Home Away and Airbnb are the obnoxious enemy to avoid at all costs, when in fact they are essential to kick start an independent business. Yes, we would love our own websites to rank on Page one of Google and for them to be seen before the big sites are reached, but without the reach of a billion dollar company, that’s just not going to happen. We need to take a different view, and use these site as stepping stones to independence – use them to bring you guests because once you have them in your home you can show your uniqueness and make them ambassadors, as Martin Picard of Vreasy pointed out in Episode 149. It’s common sense that you should make the images on your listing and website a priority but amazing how many owners don’t do this. Too often we see poorly lit and staged photographs and grainy, shaky videos taken with handheld phones. Photo experts will agree that unless you are able to shoot photos in RAW format and adjust them in a photo editing suite, you should get professional images done for you. Tyann Marcink is a pro VR photographer and explains some of the techniques in Episode 013. In Episode 059 I talked to videographer Lou Bortone about creating video to focus not only on our homes but also to create short pieces on topics that help your guests plan their vacation. He had worked with owner Evelyn Gallardo who owns beautiful properties in Costa Rica, to develop her Youtube channel. I interviewed Evelyn on Episode 007. Over the course of 150 episodes I’ve talked to interview guests who have found a strong niche they can build a brand around. Australian Dianne Denton has done it for her pet friendly (notable horse-friendly) home on Diamond Beach (VRS134); Andy Renals has made accessibility his niche as he explains in VRS113, and Wendy Shand of Totstotravel.com (VRS005) and Nikki Woodson Blair (VRS105) shared their focus on family-friendly vacations. If you are reading this or listening to this episode and haven’t got your own website, make it your goal. In talking to successful owners, their own sites are the foundation of their move away from dependence of listing sites, and without one, you will always be at the mercy of the listing sites. Whether it’s Wix or WordPress (Alan Egan 066); One Rooftop or MyVR, or using the options provided by companies such as Rentivo or Booking Sync, just do it . ….plus the other 800K results. My guest on VRS116, Conrad O’Connell doesn’t think so, and since my management company is working with him on our new website, we don’t either. 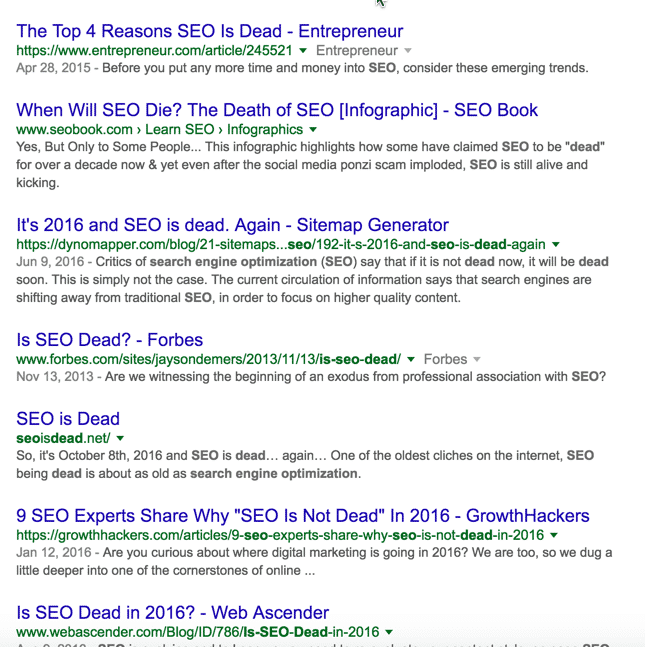 It has just changed focus from the old idea of keyword stuffing, to a greater emphasis on quality content, which means once you have your wonderful new website, you need to keep it populated with outstanding information on the area in pages and blog posts. Telling your story is so much more important than describing the dining table or how many small appliances you have in the kitchen. The story of what made you buy the place and why you love it so much is going to engage your site visitors so much more. Then, in your description you need to fire up their imagination and tell them why they need to book. Travel copywriters Erin Raub (VRS011) and Jessica Vozel (VRS095) explain how important this is and how you can do it well. 9. And when you’ve had enough and want to sell…. This will come to most of us one day. We want to move on and do something else or the economy is just right to capture the fruits of the investment. But selling a vacation rental isn’t easy since most residential realtors fail to understand the vacation rental market, and commercial agents are fixated on longer term tenancies and cap rates relating to those. Rick Oster talks about the issues facing sellers in episode 074 and explains what you need to do to prepare for a private sale. Then if you are thinking of buying or selling a property management company, listen to Ben Edwards, the President of VRMA (VRS092). Finally, if you’ve not yet bought your first property, or want to expand your investment portfolio, listen to Erica Muller from The Flamingo Group (VRS012) as she lays out the steps for a successful purchase. OK – so you have a lot of listening to do! I want to take this moment to thank you for being with me along this journey and hope you’ll stick around for the next 150 episodes. 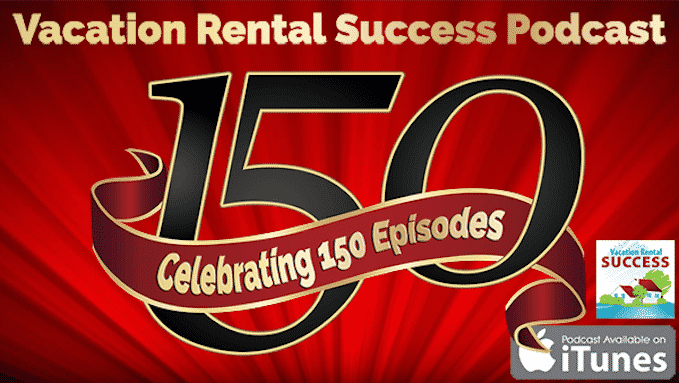 Thank you Heather and congratulations on reaching 150 podcast. Hi Heather, congrats on reaching 150! You really don’t look a year of it 😉 just listened to your episode and wanted to let you know you’re not alone in your RV – is it just me, or does that sound a tad creepy? Anyway, you know what I mean. Many thanks for all your amazing podcasts. I’ve been tuning in for some time now and I really value what you are doing and don’t think I would change a thing. Just please just keep recording. Hi Mark – thank you so much, that means a lot to me. Is there anything you’d like to hear more of? Thank YOU Terry for being such a loyal listener and always commenting. It’s much appreciated. And thank you Heather. More than 90% of what I have learned in this business I have learned from you.